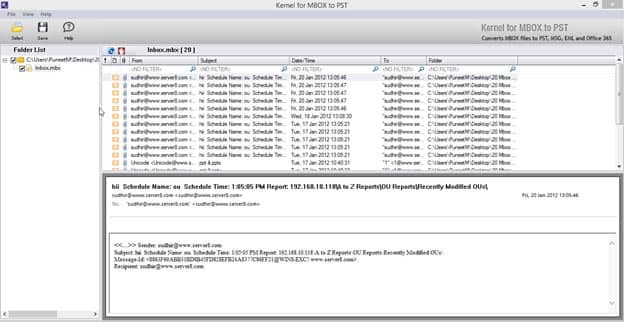 PocoMail is the email client which provides best protection against spam or even attacks from other unreliable sources like malware. It has unique script that keeps the complicated issues at bay. To show user-friendly attributes, PocoMail supports POP3 and IMAP protocol. It also includes viewing in HTML and ability to perfectly access multiple email accounts with the single account. This makes the application quite useful especially for the users who frequently deal with multiple projects. Due to more intuitive features, PocoMail has been continuously remodeled and made competitive with other email platforms. However, the only but the most potential disadvantage of PocoMail is that it does not support Unicode UTF-8 encoded characters. 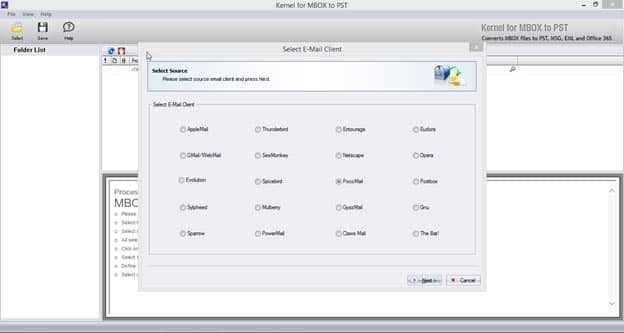 Select ‘PocoMail’ from the available MBOX clients. In next window add PocoMail MBOX files using ‘Add File(s)’ button. To remove any unwanted file click ‘Remove File(s)’. Once done click ‘Finish’. The next step provides detail of the concerned PocoMail MBOX files. Every mail can be individually viewed on just licking them. To save them click ‘Save’ button located at the top of the interface. 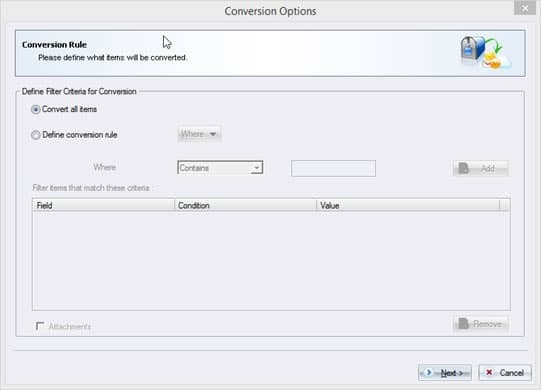 New window will appear that presents two conversion options, namely: ‘Convert all Items’ and ‘Define Conversion Rule’. 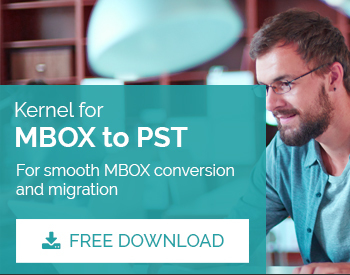 To convert all items of PocoMail MBOX file, click ‘Convert all items’ and click ‘Next’. 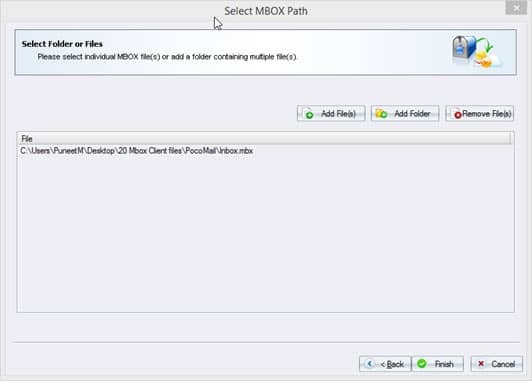 To convert specific PocoMail MBOX file, make selection from ‘Define Conversion Rule’. It provides four options from ‘Where’ dropdown menu. It involves – From, To, Subject and Date. Note: ‘From’ field indicates sender of email. ‘To’ field indicates the receiver of the mail. ‘Subject’ field indicates subject line in the email. 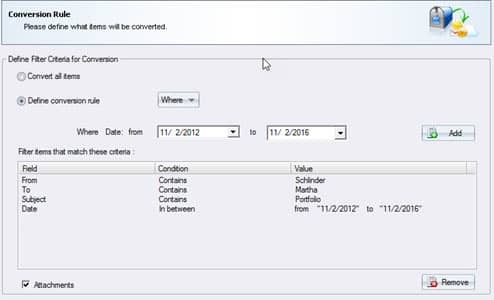 ‘Date’ field indicates date range in which the concerned file has been received. Similarly, mention a value contained or not contained in the “To” field. Type and provide the required value for “Subject” field. Click ‘Next’ to proceed. In next step the interface to save in PST click ‘Save in PST’ from the other options ‘Save in MSG’, ‘Save in EML’ and ‘Save in Office 365’. After defining the conversion rules on MBOX files, a user has to make selection from ‘Create New PST File’ and ‘Save in Existing PST File’. 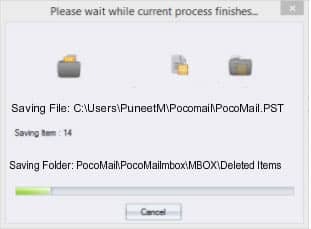 To save MBOX file of PocoMail to PST file, click ‘Create New PST File’ and provide destination to save the required file. 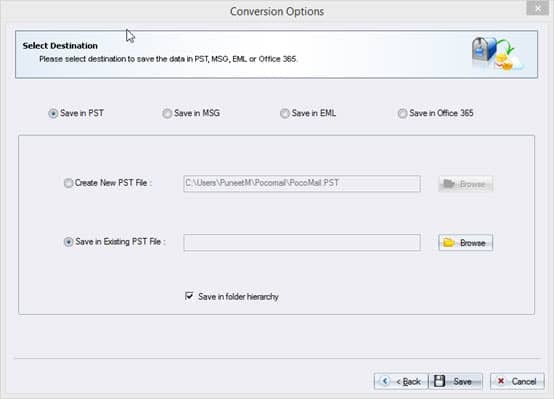 However, if pre-existing PST file is available, then it can be used by selecting ‘Save in Existing PST File’ option. On completion of the conversion process the tool displays the successful completion message on the screen. How to Convert Sylpheed to PST?